Can a space rocket launch if it had no platform underneath it? If a blimp could lift a rocket into the stratosphere to launch, What problems would arise and how big would it be? What prevents a blimp/s to be built to lift an interplanetary rocket? Balloon lifts for sounding rockets is certainly a thing, but they are at the right end of the effects of scale on balloons and safely launching them. 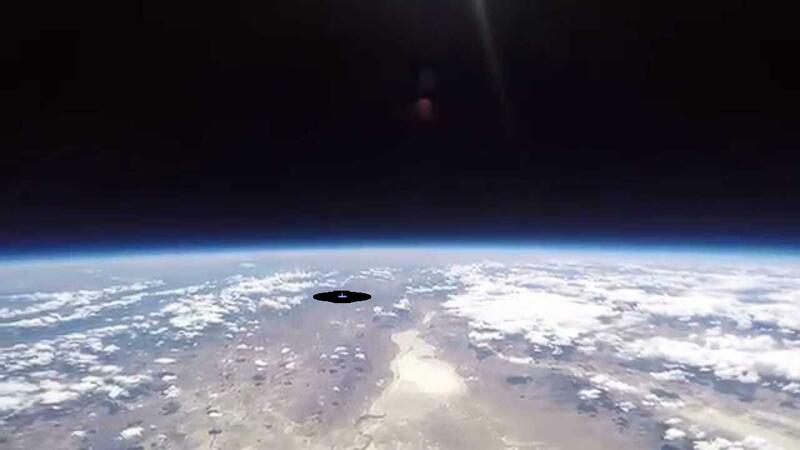 If you take this high altitude balloon as an example, getting 600kg to 39 km uses a balloon 100 meters across. Scaling that to 600 tonnes is jumping the decimal point three places and even with cube law working for you now you have balloon dimensions in the multiple km range. The key to safe balloon launches is keeping it under control on the ground and then very gently transitioning to free flight without anything ripping or the payload dragging. When your scale allows you to use people this is an exciting activity but possible. For the linked launch they had a specialized crane rig and had a prior mishap that tried to take out a car. For a 600 tonne lift you are going to have a massive amount of ground based infra structure to gently hold a soap bubble a couple of kms across in place. With a fueled rocket in the middle so it all will need to be unmanned. And unless you only ever want to launch on days when there is zero wind from ground level to 5-10km up you will need some form of wind break to protect it during the fill stage. So by the time you have built a moveable wind break a couple of km high and a massive arrangement of balloon handling machinery across a couple of km circle, building a catapult a couple of km long is starting to look positively easy. So yes there is nothing in the laws of physics saying it cannot be done, but a myrid of very real engineering problems that only give a quite minor reduction in D/V to orbit. Assuming the rocket has its full payload mounted and ready, is fully fueled, and is pointing roughly the right direction, there's no reason it couldn't launch without having a launchpad underneath it. With that said, rockets sometimes have last-minute aborts where the engines are ignited and everything looks ready to go, but the computer cancels the countdown at the last minute and shuts down the engines without telling the hold-down clamps to release. In such a situation, if you don't have hold-down clamps or similar, things could be a lot messier. Also, fully integrated and fueled orbital rockets are HEAVY! SpaceX's Falcon 9 Full Thrust, at liftoff, masses around 549 metric tons (1.21 million pounds, or roughly 150x the maximum capacity of our biggest high-altitude balloons today), and that's not counting payload. That's without any of its "ground support" infrastructure either (like apparatus for propellant loading, which continues until a few minutes before takeoff). Good luck hauling all of that so high up! Yes, getting above so much of the atmosphere would permit a smaller, less-massive first stage for the same payload (the first stage's job is not so much to get the rocket high enough above the ground, as to get it high enough above the air, and give it an initial push of speed). Falcon 9, for example, doesn't get to 33km altitude until T+1:55, roughly 2/3 of the way through the first stage's burn time. On the other hand, at that point the vehicle is moving at over 4100 km/h, and the secret to orbit is going fast much more than it is going high. Also, you specified "interplanetary", and that's a pretty tall order. Many of the rockets in use today have effectively zero interplanetary capacity (the Falcon 9 is one of the exceptions, which is why I used it in the examples above; it can throw a moderate 4T payload to Mars). If you mean "can get a tiny probe as far as the moon", then you can do that with one of India's Polar Satellite Launch Vehicles (PSLV-XL, which weigh a mere 320 metric tons at liftoff); if you mean getting humans even so far as the moon and back safely, you'll need the 2970 metric ton Saturn V (817 times what our biggest high-altitude balloons can lift). Not the answer you're looking for? Browse other questions tagged launch interplanetary construction first-stage air-launch or ask your own question. What benefits can be gained from launching below ground? How much cheaper would a high level launch be from a sea level launch? Can a reusable electric powered blimp stage for launch possible? Could electric fans lift a rocket strait up like a multi propeller drone? How much would mass-production impact the cost of solid-fuel rockets?